South Luberon; beautiful mas for sale in a spectacular setting with landscaped park and large pool. Between Lourmarin & Cucuron. A true Luberon dream. This is a stunning property, surrounded by . . . 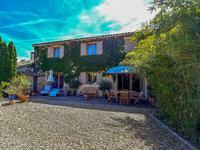 This is a great villa within walking distance from the village of Cadenet in the Luberon and . . .
Quaint and charming village house in the heart of Lourmarin with 3 bedrooms, two shower rooms with a terrace, garage, parking… stunning! This delightful property at the end of an arched side street is at the heart of the village, . . . This property was built in 1970 and offers you large volumes, with the possibility of . . . This 18th century mills has undergone a complete renovation, with its historical charm and . . . 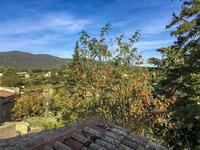 Remarkable town house over four floors, entirely renovated, in the stunning village of Lourmarin with roof terrace and pool! This enchanting property from the XVIII century, fully renovated with quality materials and . . .